Read stories about Yoichi of A Wardrobe of Whisky blog. So let’s crack them open, in a figurative way… and let’s review them. A powerful cask strength single malt from the Yoichi distillery that previously bested some very high-profile Scottish malts at a blind tasting in 2003 and received 95 points in Jim Murray's Whisky Bible. Nose (86): strong. floral, raisins, sulphur, cocoa. Palate (87): smooth, oily, powerful. peaches, sulphur, wood, spices, anise, pepper. Finish (87): long. honey, wood, spices, smoke. So based on other whiskies I have already tasted I rate this Nikka Single Malt Yoichi 20 year with 87 points over 100. The most affordable whisky of the Yoichi bottles range, this japanese single malt whisky of 10 years old is distilled and matured in Hokkaido, Japan, birthplace of Nikka whisky. Yoichi distillery continue to adhere to techniques such as the use of coal-fired pot stills, and otherwise remains loyal to the whisky-making traditions dating back to its foundation. Top whisky critic Jim Murray lists Yoichi as one of the six great malts in the world. Definitively something you must try if you want to talk about single malts. Don't miss by any reason the Yamazaki 12 years old of the rival Suntory whisky maker. Nose (88): inexistent. sweet, fruity, floral, sherry, oak, toffee, peaches, tropical fruit. First nosing data is innacurate as the previous tasting sheet lacked of this field. Palate (96): . sweet, hot, fruity, peat, wood, sherry, spices, honey. Bouquet data is innacurate as the previous tasting sheet lacked of this field. Finish (88): no finish. sweet, peat, honey, spices. Finish length is innacurate as the previous tasting sheet lacked of this field. So based on other whiskies I have already tasted I rate this Nikka Single Malt Yoichi 10 year with 91 points over 100. 'Sheer brilliance. An absolute must for anyone who regards himself a whisky connoisseur. 9.5/10' Jim Murray in Whisky Magazine, Dec 2000. Nose (89): strong. floral, vanilla, salt, a little wood. Palate (88): smooth, oily, powerful. floral, sweet, malt, salt, smoke, spices. Finish (89): long. salt, honey, pears. So based on other whiskies I have already tasted I rate this Nikka Yoichi 15 year with 89 points over 100. The pot stills of the Yoichi distillery are still directly heated, proffering hot spots in the stills, which in turn gives the whisky some wonderful sweet, rich notes. This is one of the richest 12 year old drams I've ever had! Nose (92): strong. peaches, vanilla, honey, wood, citrus, a little peat, a little iodine, seaweed. Palate (92): oily, powerful. peaches, wood, honey, spices, a little cloves, banana. Finish (90): very long. honey, smoke, wood, vanilla. So based on other whiskies I have already tasted I rate this Nikka Yoichi 12 year with 91 points over 100. Japanese whisky was first commercialized by Yamazaki in 1924. At first Japanese struggle to create the most similar whisky possible to Scottish whisky but they have now discovered that their own style, similar to Speyside whiskies, of whisky is incredible good. 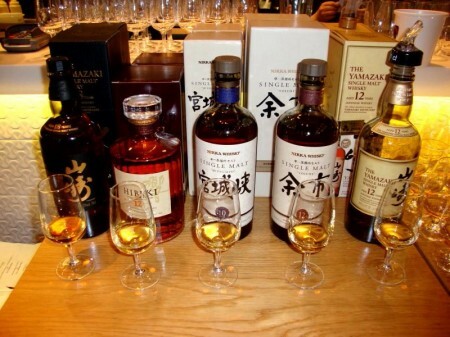 Japan whisky is dominated by two giant brands: Nikka and Suntory. Shinjiro Torii was a pharmaceutical wholesaler and founder of Kotobukiya. He imported western liquor and created a brand called Akadana Port Wine which made him a successful merchant. He embarked in a new venture: making Japanese whisky for japanese people. Despite the opposition of the company executives, Torii decided to build the first distillery in Yamazaki, a suburb of Kyoto, an area famous for its waters. Torii hided Masataka Taketsuru as distillery executive. Taketsuru had been studying the art of distilling whisky in Scotland and brought this knowledge back to Japan. 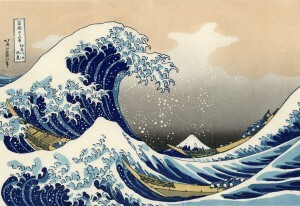 He played a central role in helping Torii establish Yamazaki. In 1929, Suntory introduced Suntory Shirofuda (Japanese for “white label”), Japan’s first genuine domestically produced whisky. Kakubin (“square bottle”), a premium Japanese whisky, was born in 1937. With the introduction of Hakushu in 1973, Suntory developed an several varieties of malt whiskies and brought to market such products as Yamazaki single malt whisky, Hakushu and Hibiki blended whisky. In 1934 Taketsuru left Yamazaki to create his own company: Dainippon Kaju which would later change its name to Nikka. He decided to establish the Yoichi distillery in Hokkaido. 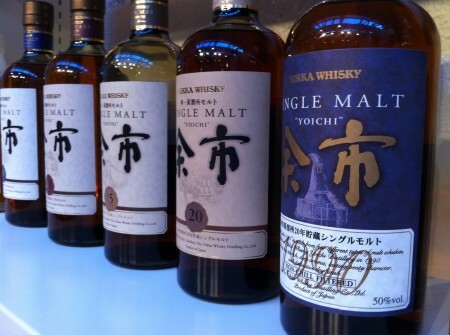 Yoichi produces rich, peaty and masculine malt. The whisky gets its distinct aroma and body from direct heating distillation, in which the pot stills are heated with finely powdered natural coal -the traditional method that is hardly ever used today, even in Scotland. 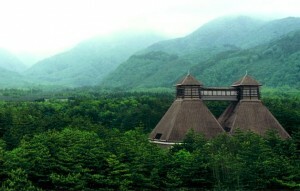 The Miyagikyo Distillery is also in northern Japan, in Sendai, Miyagi Prefecture, northern Honshu. Traveling in the area one day, Masataka came upon this site completely enclosed by mountains and sandwiched between two rivers. 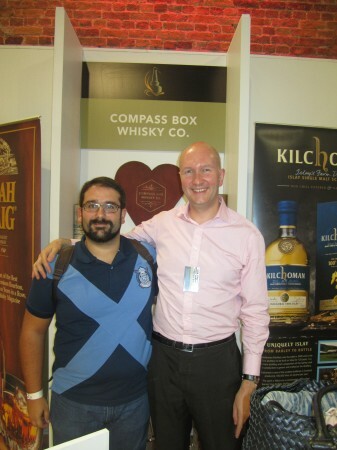 He immediately knew that this was the perfect site for whisky distilling. Sendai’s fresh water, suitable humidity and crisp air produce soft and mild malt. Located in Shimamoto, Osaka, owned by Suntory. 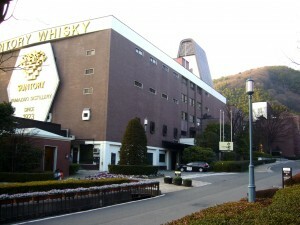 It was opened in 1923 and was Japan’s first whisky distillery. Suntory built another distillery in Hakushu at the foot of Mt. Kaikomagatake in the Southern Japan Alps. About 50km west of Sapporo City in southern Hokkaido, which is the northernmost of Japan’s four principal islands. It is also in northern Japan, in Sendai, Miyagi Prefecture, northern Honshu. In 1980, serious attempts to produce a Scotch Whisky-type product began and two pot stills were obtained. At the time, consumer demand was for blended whisky rather than single malt. Obviously since then there has been a worldwide shift towards single malts and in 1990 Chichibu whisky was launched, named after the place where the sake was originally produced. However, single malts require such a long maturation period that conditions were tough commercially.Ownership changed hands and the new management decided to get rid of the stocks of maturing malts and the distillation facilities. Fortunately, a sake maker from northern Japan, Sasanokawa Shuzo, came to the rescue of Hanyu Distillery and agreed to take over the stocks and production facilities at this critical time. Subsequently Ichiro Akuto, the grandson of the founder of the Hanyu Distillery, established a new company called Venture Whisky to again produce single malt whisky. Until fairly recent, Japanese whisky market has been domestic. Blended Japanese whisky is produced in a different ways than Scotch blended whisky. While in Scotland different brands trade their whiskies stocks to create new profiles, in Japan each brand owns its own distilleries and their blended malts contains only whisky from their portfolio of distilleries, giving them a shorted palette to create blended whisky.